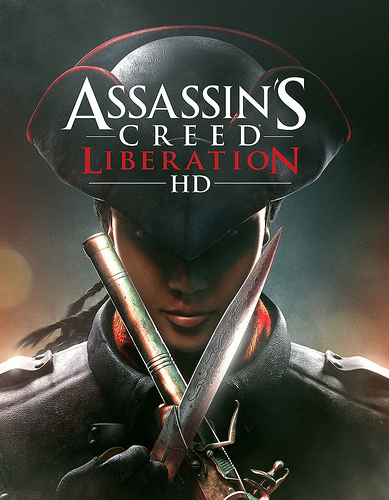 Today, Assassin’s Creed Liberation HD was released as a $19.99 DLC game for PS3, Xbox 360, and PC – giving gamers the chance to experience the story of 18th century freedom-fighter Aveline de Grandpré in beautiful high definition picture and sound. When the game was released for the PS Vita, it was an ambitious attempt to translate the full Assassin’s Creed experience to a handheld console (read the great review of the game from Machinima). While the PS Vita version succeeded in putting the full Assassin’s Creed experience in the palm of your hand, it also had to make some concessions to the smaller screen size and technical limitations of the portable hardware. With the HD version, those limitations have disappeared, giving the developers the chance to improve nearly every aspect of the game. I’m very excited to have written the music for this game, and I’m thrilled that “particular attention was given to the audio with re-mastered music and all-new sound effects.” The game sounds fantastic, and I’m excited that a whole new audience of console and PC gamers will experience it. I think, as artists, we’ve all had the desire to “jump the velvet rope” and fix something that we only notice after a work of art has left our hands. With Assassin’s Creed Liberation HD, the team at Ubisoft Sofia had the rare opportunity to jump the velvet rope, and it’s very exciting to see the results. They did a beautiful job! This entry was posted in Game Audio, Game Music, YouTube. Bookmark the permalink.